Hello Kapriel and Lloyd: I spent a week in the desert a year ago with Zane. I was just working out the dune stuff. I think he zapped the sediment because on me. I offered to test the samples, but there was so much salt, the sample turned white after a couple of days, so i never followed through. I owe him an apology. The guy in Colorado who makes rock is not returning my calls. Probably bugged him too much. One of my gifts. He has explained the process though. It involves high Amps and low Voltage. He uses a welders generator. 400 Amp. He likes around 4 volts. I traveled around CO getting dirt. Red dirt from around red sandstone, some clay from next to a creek, Some dirt from above the creek, and some green rocks he crushed up. He puts it in a crucible with two small holes on each side. He puts Carbon Rods through the holes. He fills the crucible with a mixture of the dirt. He adds water that has been mixed with elements to make it acidic or alkaline. He refers to this as an Ionic fluid. Then he zaps. With the right ingredients he gets Granite with Quartz veins. If he lets the power run longer the Granite changes to Schist. He separated the dirt with a magnet to get what he called magnetic earth. This produced obsidian. With acidic water you get acidic Granite. Vice verse with alkaline water. CJ offered to help reproduce the process. If i don't hear from Colorado Mike i might try to fake it with CJ's help. Zane would probably help to. Kapriel asked about the different types of materials and its source. I looked over CO mikes notes and a lot of it concerned the Ionic nature of the different metals. Mel has copies of the notes. Any way, each metal has a different ionic nature. Some would be repelled by a plasma like the arora, some would be attracted. All to different degrees. So as the materials arrive it would be sorted in the air by the current. The arora like formation could concentrate the material making the deposition much faster. I think that's what Mel was talking about in his TPOD. 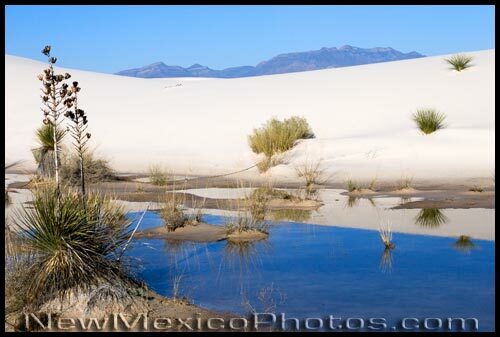 Concerning White Sands and the dunes, i don't know about the vegetation. My info on the dampness comes from the Chief Geologist at Sand Dune National Monument. He is not a fan of my theories. This is the link to the rocks on Mars. "White Rock" on Mars is a good example of Martian sedimentary rocks not being solidly compacted. Aside from igneous basalt, Mars doesn't appear to have any other examples of solidly compacted (ie: via pressure and heat) rocks. "White Rock got its nickname more than 30 years ago, when scientists first spotted the feature on the floor of Pollack Crater in images taken by the Mariner 9 spacecraft. Pollack, which is about 90 kilometers (55 miles) wide, has a dark floor, especially over its southern half, where White Rock lies. At the time of Mariner 9, rather contrasty image processing gave White Rock, which measures about 15 by 18 km (9 by 11 miles), a chalky-bright appearance. In 2001, however, scientists working with the Thermal Emission Spectrometer (TES) instrument on NASA's Mars Global Surveyor orbiter found that White Rock has a dry origin and is built of wind-blown sediments. The bright blocks and ridges have the same brightness as light-colored, dusty regions elsewhere on Mars, and White Rock's spectra likewise match these and show no trace of water. The image seen here was taken at visible-light wavelengths by another instrument, the Thermal Emission Imaging System (THEMIS), on a different spacecraft, NASA's Mars Odyssey orbiter. The wind-sculpted ridges that make up White Rock rise about 300 meters (1,000 feet) above Pollock Crater's floor, which shows as dark lanes cutting into the light-colored formation. Both TES and THEMIS can determine how solid the Martian surface materials are by how fast they heat up in daytime and cool off at night. The results show that while White Rock's light material may be dust-like in color and spectrum, it doesn't behave as loose dust does. Instead, some process turned it at least partly solid. A similar-looking feature in Ganges Chasma may have formed the same way as White Rock. While the light material stands up as buttes and ridges, lots of loose material nonetheless surrounds White Rock. At the feature's northern end lies a field of dunes made of dark, basaltic sand grains. The large image shows more dunes and accumulations of dark sand to the north and west of White Rock. The sand grains probably eroded from the lava that covers the floor of Pollack. The dune shapes seen here suggest that some winds blew from the east (or southeast). It is possible these were funneled by the channel, some 500 meters (1,500 feet) wide, that cuts straight through White Rock. Other dunes not far away, however, suggest winds from the west." Oops. Sorry Michael, didn't mean to duplicate your link. It wasn't up when I posted. I hope you can get CJ to reproduce that experiment. Smoking gun. Re: Are Mountains Solidified Dunes? Quick looks at Google images show many pictures of this. The TPOD says the ridges around Factory Butte are "Lichtenberg figures" (talked about in TPODs and by other EU pack members). It's 6400 feet high. Coal is found near it. It isn't hard to think that rock dust can fly around in electric winds. The dust and sand gets electric charge and follows the lightning -- someone mentioned Ralph Juergens, a dog whose bark echoes in a lot of EU theories. Australia has old, old dunes that don't move. "They are not typical aeolian features, because they appear to be unaffected by the hot winds that frequently blow through the region—they do not travel. They are also associated with deep striations that are not easily explained through conventional geology, unless it is assumed that some processes occurred in the past that are no longer as active today. "It is possible that the dunes and the gullies are old enough that they correspond to the last interglacial periods when flowing water is supposed to have eroded Australia. However, they do not have the appearance of great age. The dunes, especially, appear to be rather young. Appearances alone, are not sufficient evidence for any theory. However, one would think that exposure to the elements for tens of thousands of years would etch some sign into their faces, yet they look like they were recently created." The Great Dog is convinced by TPODs that something on Earth, Mars, Venus, and Titan created dunes. Barking about electricity tearing up the place and then depositing the sand in another place is common in the EU pack. The Great Dog wonders why there aren't any dunes on the Moon. Maybe the electricity blew the dust into space? “”The TPOD says the ridges around Factory Butte are "Lichtenberg figures"
Classic. I notice that the Lichtenbergesque/fractal branchiae are the ridges~, which define the riverine channels. or was all of the material similar and then erased, over time, by purely fractal erosion processes ? The seasmith reckons all the above are possible and likely. Figure 6. Ken Musgrave has added erosion to fractal surfaces in these before (a) and after (b) images. To incorporate erosion into the initial fractal rendering is essentially impossible. As to the electrical hardening of dunes, no doubt. Oh, my goodness. Light begins to dawn. I'm starting to see what starbiter is getting at, and it is scary as can be. The process that you are describing seemed vaguely familiar, then I remembered how computer chips are etched, built up, doped with other materials, then built up and etched again. You are right, this does scale. The shear size of the process made it difficult for me to wrap my head around. I'm a Growing Earth Theory guy, so this makes things much more possible in the given time frame. The existing terrain causes the new material to either stay fluid/loose, or turn rigid transmuting to another form. That means there is no way to date the various materials, since all dating processes assume that the material was unchanged while the internal clock ticked away. That means, so called "sedimentary rock" may not just be a function of water moving soil. That means, when we can finally get to other planets, we will find their "geology" almost identical to ours, since the majority of moving material around is apparently electrical. The past 10k years have been quiet, thus little change. We have never experienced living on the surface of a truly active planet, the ground lifting, mountains popping up, mountains appearing after a bad storm, gravity changing, Yikes! When all this started to click, Orff's Carmina Burana kept running through my head. Here is a fun version, so that you get the applause at the end. Well done. The Great Dog wrote: The Great Dog wonders why there aren't any dunes on the Moon. Maybe the electricity blew the dust into space? I suspect that those worlds with no atmosphere will not dune the way we think of it. I suspect that with no atmosphere the rim wall is your "dune", since all of the removed material is in the crater rim. I can't remember any TPODs that mention "raised electrical blister" on the Moon the way they do about Mars. The atmosphere on Mars, etc..., acts as a conductive fluid, so you have fluid rules apply to lift blisters, and form dune fields. Remember the various youtube videos showing sound waves moving through sand on a flat plate. Look at this one using a round dish. The article implies that these dunes were cut. Loose material instantly turning to solid fits the image far better than machining. Wow, the Factory Butte image is awesome! And that whole area is a dinosaur graveyard too! I like this theory, it really works for me in many ways. But we should probably deal with the little hitches, if we can. The presence of carbonate layers between sandstone "dunes' needs to be addressed, for one. Ideas, anyone? Carbonate is a sea-water deposit. Unless there are other sources that I don't know of. If the electric wind separated mineral types according to chemistry, wouldn't we see a graduated layering going on? Heavier types to lighter, perhaps, or more electrically conductive to less electrically conductive? This is another reason why I'd like to see Dr. Jacob's experiment replicated. His sand did separate itself into layers, you could clearly see the colored bands taking shape. But it seems to me that the bands were metallic types like iron and iron oxide gathering together in one place leaving the non-metallic minerals in between. I could be remembering wrong, however. Because it was in German I could not get the information I wanted on what solution he used, or what kinds of sand, and how long it took. But the point is that I can't be sure his banding was graduated in any way. It might have just represented several layers of metallic material that was separated out by the current. "Carbonate rocks on Earth are formed in two ways: through a purely chemical process or via the action of living things. Both means require liquid water. The chemical pathway involves carbon dioxide gases that dissolve in surface waters. CO2 molecules combine with water to form carbonate ions, which in turn join with calcium or magnesium to create a solid that settles onto the sea floor. Limestone (CaCO3) is an example of such a carbonate..."
Last edited by Kapriel on Thu Dec 31, 2009 2:23 pm, edited 1 time in total. Re: Are Mountains the Result of a Dunning Process? Can you say more on this? It's interesting. Kapriel, I don't know if you ever got into the Mummified Dinosaurs thread where we got whacky talking about transmutation but here is one post I made about calcite (CaCO3) found inside geodes of quartz. For each type of "sedimentary" formation we would have to look at actual cores to make the decision whether the layers were put down by water over time or was made through some other process very fast. I suspect that you can't make blisters in a vacuum. You need the whole mass; i.e., air and soil, to act as a fluid. In Soil Mechanics, Soil is a fluid made up of solids, liquids, and gas. To "shape" the material requires that it becomes "fluid", otherwise it can't move. Check out some of the links I posted in another thread and see if they can lead you further. When I posted the links I saw no way to transmit the information about Fluid Mechanics in a meaningful way. I was trying to compress a large chunk of Civil Engineering into a post. The information is there if you read through the wiki pages. It's like in the Mummified Dinosaurs thread, I reconstructed what I knew of chemistry 30 years ago from the wiki pages rather than buy the high priced college chemistry textbook to replace the one I'd lost. I'm now seeing many formations possibly being shaped not just by the occasional mega-flood, but by monster tornados ripping up one area and dumping the material in another, with the deposited material--rock, stone, trees, dinosaurs--turning to stone instantly. But that's just me listening to Carmina Burana looping over and over. Any idea sounds grand and possible with that music. Hello Kapriel: I don't understand your question about Sea Water. I've covered this earlier. The oceans were sloshing all over the place every time the motion of the Sun changed. I won't repeat the details. The West side of the mountain where the Grand Canyon flows is salt water Limestone. The East side is fresh water Limestone. The eyewitnesses say the ocean was pulled up 1600 miles before crashing back. Possibly a small exaggeration, but it rose a lot. The bottom of the ocean was probably pulled along, with the shells and everything else you find on mountain tops. If you don't read or re-read Worlds in Collision [the part about Venus] you'll never be able to grasp this. * If those sands do hold moisture, it seems that something prevents vegetation from taking hold. I wonder if the sands blow around too much, or if it's just too alkaline. I don't imagine moist sand blows much. Does anyone know? * When speaking of how rock forms, don't forget transmutation. We've discussed that quite a bit on several threads, including the Mummified Dinosaurs thread and the Iridium threads. Carbonates were discussed too. Biological transmutation occurs around room temperature. Nitrogen in the air can transmute to carbon monoxide at around 600 Fahrenheit, I think, or at very low temperatures in the upper atmosphere when exposed to ultraviolet light. There used to be lots of carbon dioxide in the atmosphere, so carbonates may have come from the air at that time. But it may also transmute from nitrogen in the air, or silicon in rock etc. * Allyn, the phase of planetary instability and violence was more likely around 5,000 years ago, not ten thousand, according to Cardona et al. * If dunes need atmosphere and or liquid in order to form, then, if Titan is the only moon with dunes, this suggests that most moons formed in a different process from that of Titan. EU theorists seem to suggest that one planetoid forming process is the star forming process, which involves a plasma current in space getting one or more Z-pinches, which act as dams that block the flow of plasma, so the matter rolls up into a ball at each dam. Another process may be ejection of a body of charged matter from within a gas giant or brown dwarf star, which is similar to the star fissioning process. Venus and Titan are thought possibly to have formed in the latter way by ejection from Saturn and or Jupiter. Another process is electrical discharge between planets that pulls matter from one and causes some material to end up in space, at least what doesn't fall back to a planet. The last process probably doesn't produce very large bodies, but probably asteroid-sized ones and meteors etc. * If dunes require waves or vibrational movements, besides water making wave motions, thunder may be able to vibrate sands in a similar way. During close encounters thunder could be especially loud and continuous. There should be a simple formula, I think, to determine how much energy was required to make dunes of any given size.